Product prices and availability are accurate as of 2019-04-14 01:15:31 BST and are subject to change. Any price and availability information displayed on http://www.amazon.co.uk/ at the time of purchase will apply to the purchase of this product. 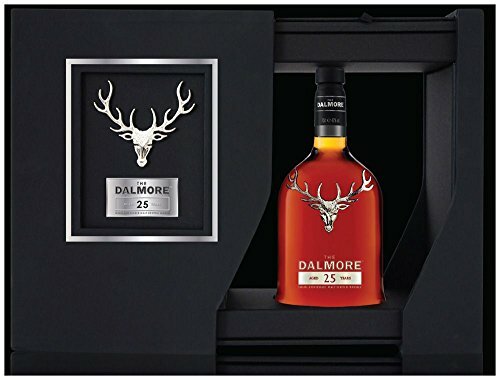 First released in 213, the Dalmore 25 is matured initially in American white oak before a second maturation in a combination of Palomino Fino sherry butts and first fill bourbon casks. These are then married together in bourbon barrels before a finishing period in Tawny Port pipes.